135° East – They do sound like GPS or compass coordinates. But not in Maafushivaru, a magical island set in the southern tip of Ari Atoll in the Maldives as the coordinates refer to the name of its famous ‘Hibachi restaurant that opened in 2012. Sounds interesting enough? 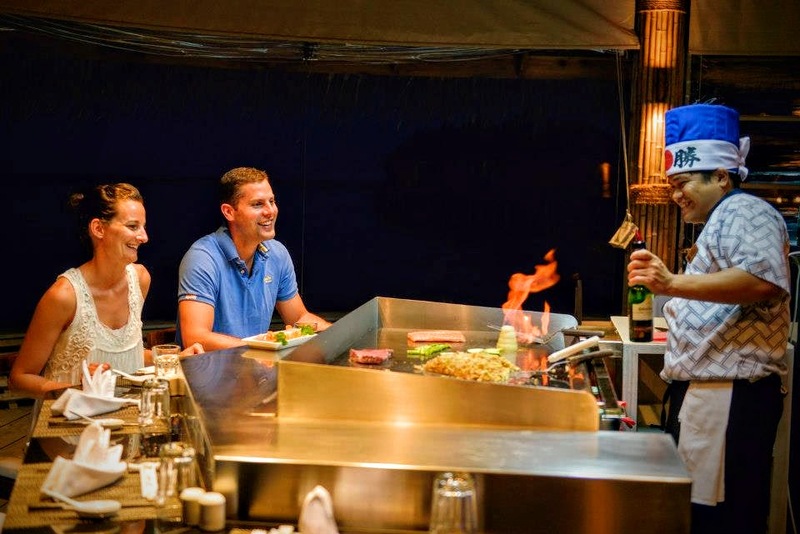 The art of teppanyaki hails from ancient Japan and has been around since centuries where using the Teppan (iron grill) was key to cook meats and vegetables. Soon it developed into a huge success and gained a remarkable popularity for its eclectic showcase of talents while producing delicious treats. 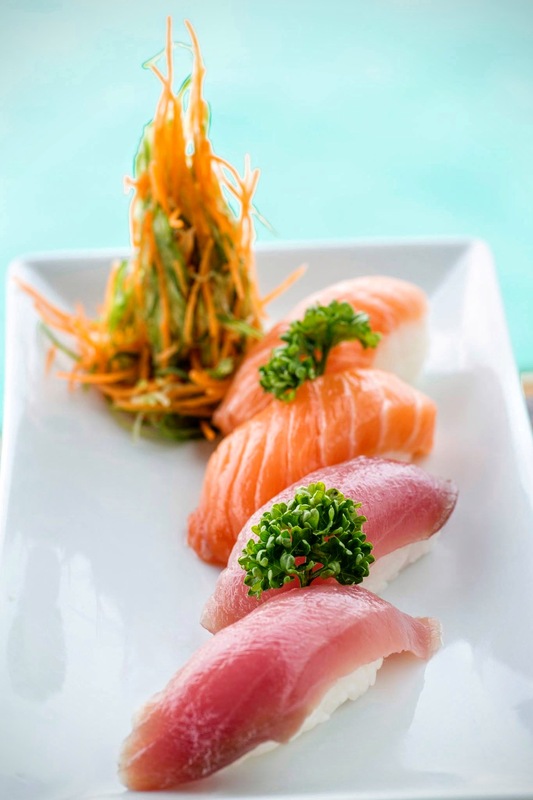 The combination of sushi and teppanyaki was born and has then grown into one of the most popular cuisines enjoyed by many around the globe. you’re served sizzling hot food served with condiments and the right amount of zest infused. 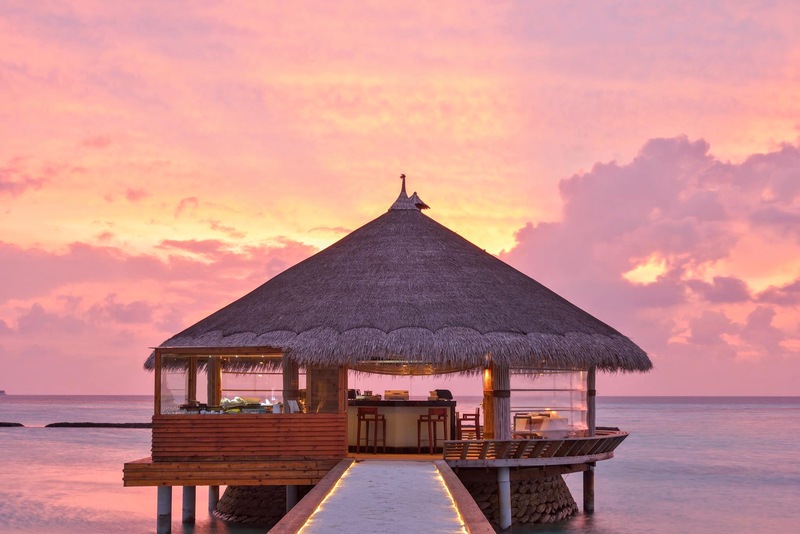 The restaurant is set on an overwater pavilion connected to a private jetty. Auburn flamed sunsets are frequent backdrops to complement your dining experience paying tribute to its unique name; 135° East.